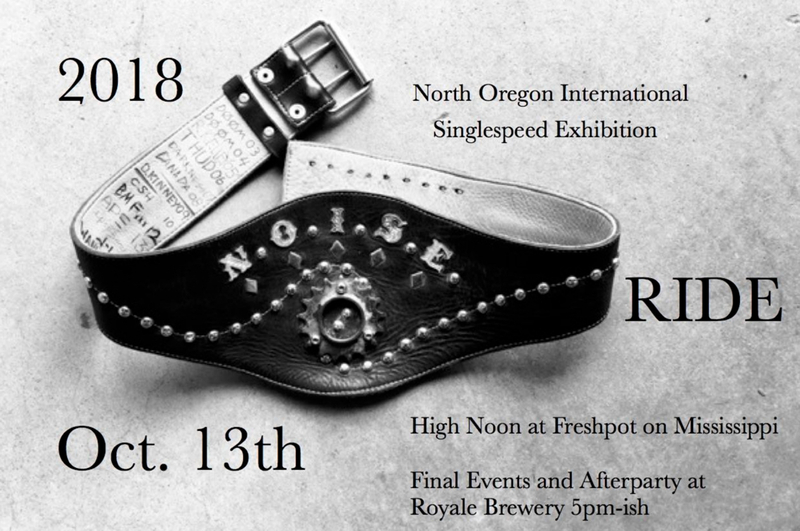 The North Oregon International Singlespeed Exhibition (Northern Oregon Inspirational Shredding Exhibition) returns to North Portland for another year of sweet fun on bikes. Come prepared to ride the hell out of your bike, rain or shine. We will be riding various highlights of North Portland and competing in various events of skill, strength and style. Ride starts at High noon as Freshpot on Mississippi. Final events and afterparty at Royale Brewery sometime around 5.